One of the most difficult things about building a tech business is to get the necessary funding. While you may have the most wonderful idea about creating something new and revolutionary, getting it from your head to a practical, real-world solution is more difficult than it may seem. In the old days, many tech businesses never got off the ground because their creators were unable to acquire the capital to meet the app development cost. With the coming of crowdfunding, incubators and angel investors, however, things have improved significantly in the industry. The business operating cycle for most software and app-based companies runs in a similar pattern. There is the initial developmental stage where lots of money is spent on market research, app development cost, bug testing, and advertisement. This can take months, even years before the product is ready to be launched. The profits only start coming in after product release. In a case where the app fails to capture the market, the company could end up losing money. A business must also account for cheap knock-offs that are rampant in this industry more than anywhere else. You can spend a considerable amount of money and time on building a great app and launch it into the market only to see similar apps flooding the stores a week later. This obviously means that investors are taking a certain level of risk when financing new apps in the market. Because of their higher risk, investors expect a certain level of minimum return from the profits. Starting a new business in the tech industry is similar to starting a business in any other field. There are a few differences between tech companies having a few more options for raising funds. As the old saying goes, when you want to get it done right, do it yourself. Bootstrapping involves raising finances for your new business venture out of your own personal funds. These include any savings you have, personal lines of credit, previous investments and any profits you’ve accumulated over the years. Using your personal finances to start a business is both good and bad. It is good because any profits you make from the business will belong completely to you. It will also help build credibility for your business. How many investors would be willing to commit funds to your business if they see that you don’t even put your own money into it? Of course, there are limitations to bootstrapping. Unless you are Bill Gates or Jeff Bezos it is not likely that you will have enough funds to start and run your business with just your own resources. You can only take your business to a certain level with your own funds and scalability will be an issue unless you look to other sources of financing. 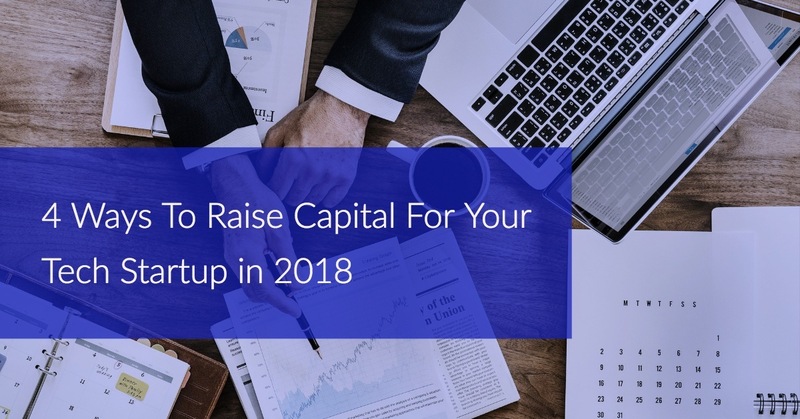 Your family and friends should be the next obvious source of raising capital. These are the people who know you best and understand your capabilities. If you have a big social network, good work ethic and trusted within your circle as someone capable of delivering results then you will find it easier to raise finances through friends and family. Before asking your relatives and acquaintances for finance, you should develop a comprehensive business plan similar to the one you would build for institutional investors. Many entrepreneurs who approach their friends for money take it as an informal process. That is a wrong approach. A proper business plan will inform your social circle about how you will utilize the funds and how long will it take before they get their profits and initial investment back. You can start a tech business even with a small amount of money but the major development costs will come into play soon after starting the business operations. Banks are one of the main sources of raising finances at this stage. Loans are either secured against pre-owned assets or unsecured. For example, home mortgage is a type of secured loan that is backed against your property. The interest rate is lower on such loans because of the lower risk for the bank. However, the property can be taken away in case of a default. Banks charge a higher interest rate on unsecured loans because of the greater risk. This can dig into your profits but if you don’t have any property to offer as collateral, this is an option that can be considered. You can run a small tech business with your own money or funds from friends and family reasonably well. However, when you want to take things to the next level, you will need to go to bigger investors. Angel investors are a good place to start. These are well-established business professionals with high net worth and experience of the market. They are looking to invest in new companies with the potential to deliver a good return. Generally, an angel can invest anywhere between $10,000 to a few million dollars in exchange for a stake in the company. You can find angel investors by networking within the tech community. Most angel investors are well known within the circles due to their years of experience in the industry. Other entrepreneurs in your circle may be able to connect you with one. Similar to banks, angels will ask for a detailed business plan to determine the profitability of your venture. They will also often require you to submit a demo of your product or service. These angels are more technically savvy than banks. They prefer to see a demo of the technology or app you have built to see its potential, even if it is in the initial stage of development. It is not uncommon to see angels back a company with good apps in the initial stage of development even if the company’s financial plan isn’t all that sound. Getting a venture capital to back your business product or app service is the pinnacle of achieving recognition within the tech industry. Established institutions only commit their resources to a new business when they see a big scope for profitability. VCs are capable of raising seriously large amounts of money; millions of dollars for a start. They also have the toughest qualification criteria. You will be required to provide an in-depth and thorough business plan. You will also find yourself competing with a number of other business entrepreneurs and make your plan stand out as the best. VCs have access to experienced professionals that are skilled in different functions such as business, tech and finance. They will often require businesses looking for investment to take these professionals as members of their board of directors. 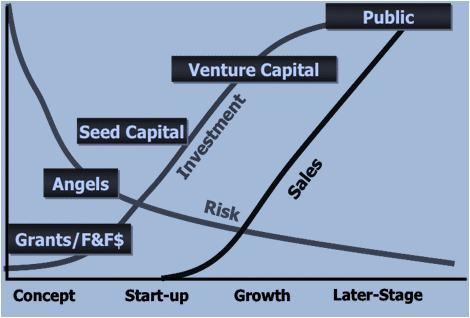 VCs typically expect a return on their investment between 5 to 10 years and the required rate of return for the tech industry could be anywhere from 10 to 20 times the initial investment because of the higher risk factor. Most new tech businesses rely on experienced developers to help improve and polish their products before presentation to the investors. Professional web and app development firms understand the conditions in the market. They can improve your app’s security, user interface and cross-platform functionality. They can also help remove bugs and malfunctions that might leave the potential investors less than impressed. VantageIO is a professional app development company with expert programmers and developers on our team. We can help improve your app’s feature and give it the edge that would give investors the confidence to invest in your project.